 Ensure your water is safe with ultraviolet (UV) water purification and disinfection. Ultraviolet systems use UV light to produce purified water for the entire house. Without adding or taking anything away from water, UV disinfection is a cost-effective and environmentally-friendly way to remove 99.99% of harmful waterborne microorganisms. We’re a proud supplier of exceptional ultraviolet brands including Viqua and Pura.